Oh how I love ModCloth. I can always, always find something to help me out with my Cute Outfit Ideas of the Week feature. From their amazing dresses to their fun sales like the one I’m about to tell you this morning…which ends TOMORROW, March 23rd! It’s their Spring Stylish Surprise and although their Shoe one has already sold out, you can still get in on their apparel one. How does it work? Let me tell you! Are you ready to take a chance? The rewards could be huge! For just $10, you might get anything from a terrific top or sassy skirt, to a dazzling dress or cute coat. There’s a beautiful bevy of mystery items with retail values from $29.99 to $299.99 – now that’s what we call a real deal! Ready for some fashion fun? Simply select your size, then add a chic secret to your shopping bag. Hurry – supplies are limited, so snag a Stylish Surprise while you still can! Sounds fun, mysterious and exciting doesn’t it? I’m trying it…right…now. Wish me luck ladies! Now, it’s your turn! 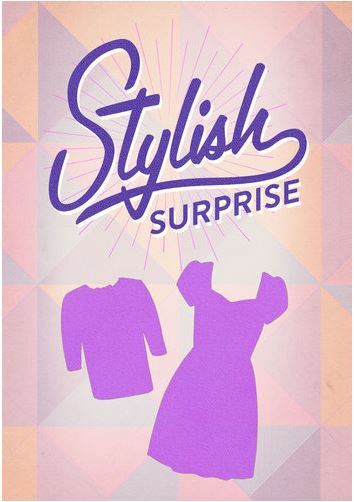 If you take part in ModCloth’s Spring Stylish Surprise, please tell me what you end up with. Okay?! Good luck!